Why Summer Reading for Adults? Summer Reading for Adults is easy. 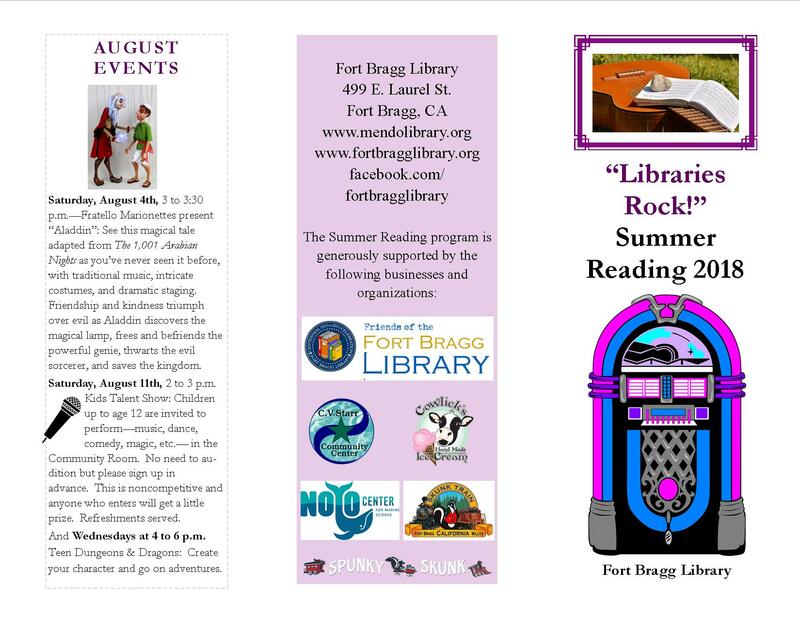 Just sign-up (beginning June 9th), read 10 books through Aug 11th and then turn your reading log in to the library for a prize. 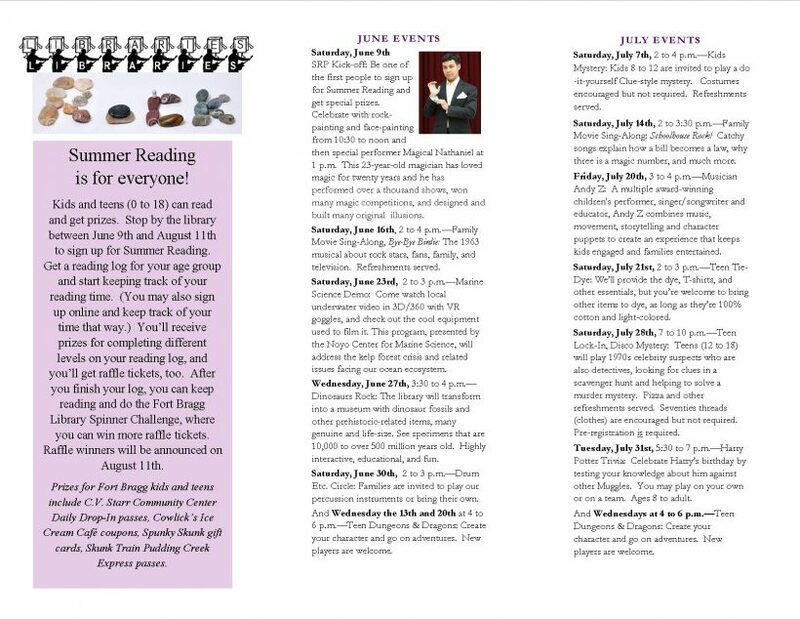 If you finish before the Aug 11th deadline, you can earn raffle spins with your continued reading and be eligible for our end of summer reading raffle prize. Stop by the library for all the details, pick up your log and START READING!